Registration of the Third Underwater Photographer of the Year 2017 has been opened. The UPY has quickly become one of the more popular wildlife photo competitions aimed at marine life enthusiasts. The competition aims to bring the amazing world of underwater into your lens. Entry is open to all photographers. Two new categories have been added for the 2017 competition; aimed at underwater photographers from around the world,these new categories are Portrait and Compact. There are entry fees for the competition of £5 for a maximum of 3, £15 for up to 15 images, and £20 for the maximum of 20 images. 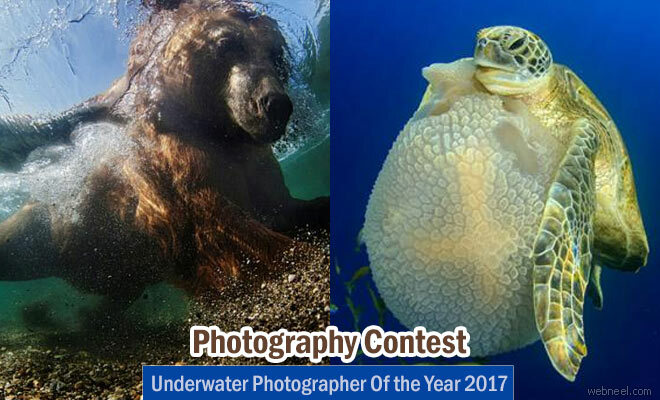 Underwater Photographer Of the Year 2017 - January 2 2017 Neel Registration of the Third Underwater Photographer of the Year 2017 has been opened. The UPY has quickly become one of the more popular wildlife photo competitions aimed at marine life enthusiasts.